Sony Xperia V is a smartphone that is already using LTE technology which is the latest technology that is used to connect to the networks they are existing operators, using these networks users can connect to the internet with a maximum speed of up to 299.6Mbps to download while to upload up to 75.4Mbps. Technology is a very interesting addition to LTE technology is water-resistant technology within a certain period, in the presence of this technology can avoid the damage that can be caused by water entering into this smartphone. By using a wide screen, measuring 4.3 inches which can be used comfortably to see the video or to see images. 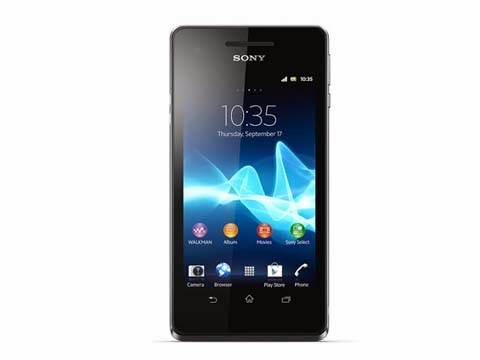 In addition to having a wide screen size, the Sony Xperia V i is also equipped with multitouch that can respond to 10 touches. For those of you who like to listen to music, it has 3.5mm jack that can be channeled into the larger sound system to be able to listen to the sound louder. To be able to store data in the form of audio can use the internal memory of 8GB. The main camera owned 13MP Sony Xperia V capacity and is equipped with features touch focus, Geo-tagging, face and smile detection, image stabilization and 3D sweep panorama. With these features and with quality camera can produce images with high clarity.